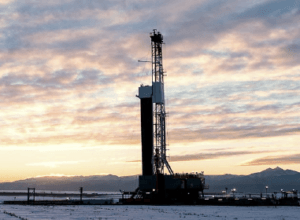 Anadarko Petroleum operates six hydraulic fracturing stations on the Wattenberg Gas Field located beneath the states of Colorado and Wyoming. When an inlet pipe broke recently at its station just north of Denver, CO, injection fluid drained beneath the concrete slab at the station. This caused 3- to 5-inch voids to form under the concrete floor which left the concrete floor unlevel. 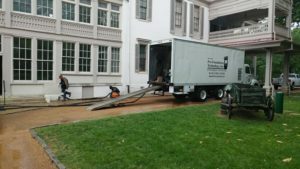 The general contractor of their onsite service company, Open Range Services (ORS), knew he needed to find an efficient and effective solution for lifting and leveling the sinking concrete slab. At first, the head of Open Range Services considered using the “tried and true” method of concrete leveling, mudjacking. Mudjacking forces a mixture of concrete and other aggregates beneath concrete slabs in order to lift and level them. After some consideration, he found that mudjacking would not only be too expensive, but that it would take a lot longer to apply. In addition, ORS would have the added cost of removing and replacing the entire slab instead of simply repairing it. The complete process usually takes less than seven hours. Mudjacking, on the other hand, may require weeks or months to complete and creates a huge mess. For additional information on mudjacking vs. polyjacking, click here. According to Steve Walker, Open Range Services was very satisfied with the final results, “They said they knew who to call if it happened again.” Things are running smoothly again at this particular Anadarko Petroleum hydraulic fracturing station, one of six located on the Wattenberg Gas Field, which is considered the ninth largest gas reserve in the entire United States. Polyjacking.com has a nationwide reputation for its top-quality polyjacking products and services. They actually coined the term, “polyjacking”. It is a division of Pro Foundation Technology, a leading concrete repair company based in Kansas City, MO. 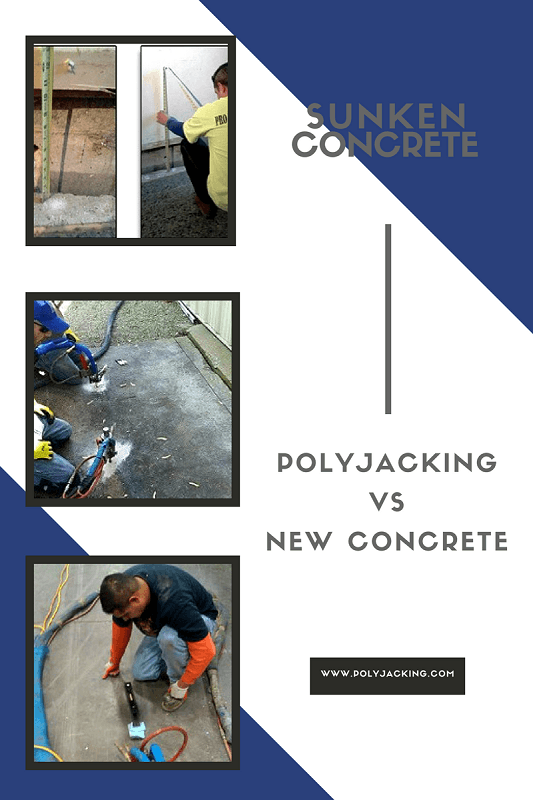 To learn more about Polyjacking.com’s concrete lifting and leveling services, contact us today! 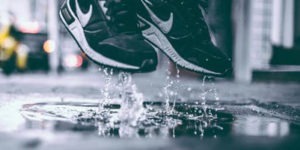 What is mudjacking? Mudjacking is a concrete repair method used to lift and level sunken concrete. Since the 1900s, many businesses and homes have benefitted from mudjacking. 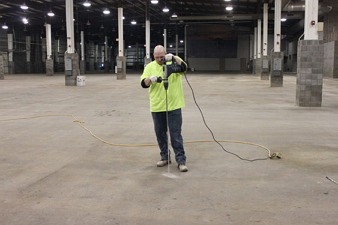 It has been used to stabilize basement floors, driveways, sidewalks, patios, garage floors, and more. Mudjacking has been used for decades, so there are no surprises when you use this method. You know exactly what you are getting, for better or for worse. In some cases, mudjacking can be a temporary solution due to its inability to resist moisture. As a result, the slurry may break down, wash away, and weaken. Because of these drawbacks, polyjacking has gained popularity over the years. If you have sunken concrete, we recommend polyjacking so you can save money and time in Missouri, Kansas, and the surrounding area. So what makes polyjacking better than mudjacking? There are numerous reasons for using polyjacking over mudjacking. Aside from not being moisture resistant, mudjacking uses a heavy cement-based mixture that weighs nearly 100 lbs per cubic foot. Many large holes are drilled through the slab so the material can pass through the slab, fill in the voids, and lift the slab back in place. With polyjacking, polyurethane is used to lift and level sunken concrete to its desired height. Polyurethane weighs about 2 lbs, requiring fewer and smaller drill holes for the injection process. Within a few seconds, a chemical reaction occurs and polyurethane turns into foam. The foam expands and fills in voids under the slab. Mudjacking can take 1-2 days to complete as opposed to polyurethane foam which cures within 15 minutes. Since polyurethane foam is lightweight, it won’t burden loose or weak soils under the slab. This prevents future settling, making it a long-term repair solution. On the other hand, mudjacking is a short-term repair method because it uses thick material that overburdens loose soils. Since mudjacking requires many large holes, more patchwork is needed. Mudjacking patched holes are more noticeable and less attractive than polyjacking’s patched holes. Both mudjacking and polyjacking achieve the same results when lifting and leveling sunken concrete, but polyjacking has become a preferred method over traditional mudjacking. 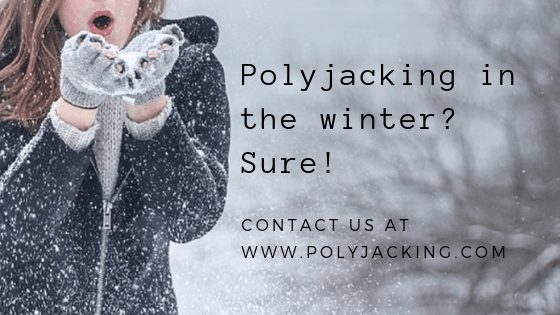 At Polyjacking.com, we offer polyjacking to permanently restore your settling sidewalk, driveway, patio, pool deck, and more. Contact us today for more information or an estimate. There are a few slabjack methods to choose from when it comes to concrete leveling. Whether it’s mudjacking or foam injections, both are designed to lift and stabilize the slab. However, there are subtle differences. It’s essential to know the differences, so you can decide the best option for your concrete leveling project. Mudjacking is the oldest concrete lifting and leveling process. 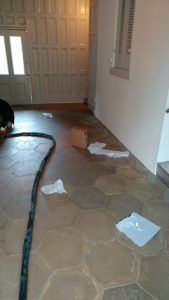 The installation process uses grout to lift the concrete back to its original state. The grout is comprised of heavy sand-based material. First, a large 2-3″ hole is drilled through the slab, then the grout is pumped under the concrete to raise it back in place. 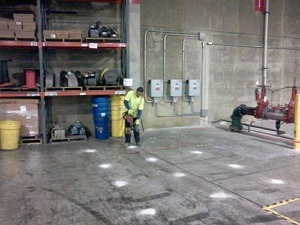 Polyurethane foam injections are a newer concrete leveling method used to lift settling and sinking concrete. In the past, it was mainly used for public work applications for highways and streets. Now, it involves residential and commercial projects, as well. Unlike mudjacking, foam injections use dense material that weighs 2 lbs per cubic foot. 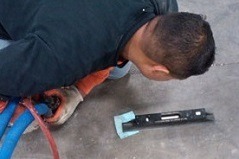 A 5/8 diameter hole is drilled through the concrete, then polyurethane is injected under the slab and into the ground. As the foam is injected, it expands and fills in voids and gaps. Also, the foam lifts the concrete back to its original position, preventing future settlement. The polyurethane foam is water resistant, so it won’t wash away and the foam seals the bottom of the slab, preventing water damage from impacting the concrete. These are a few advantages of polyurethane foam injections used to lift your settling concrete slab. At Polyjacking.com, we can help you determine the best concrete leveling and lifting method for your slab. Both methods, polyjacking and mudjacking, are designed to strengthen and stabilize your concrete surface for many years to come. Contact Polyjacking.com for more information about foam vs. mudjacking. 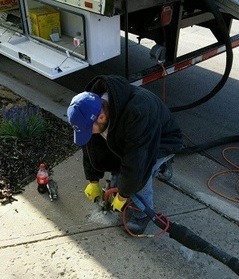 Repairing damaged concrete in municipal areas takes professional work, much experience, and top-quality products. In order to have concrete that will be stable and long-lasting, it is important to hire the right crew who can get the job done efficiently using the right tools and methods. Our professionals here at Polyjacking.com can help you with any repair needs you may have. 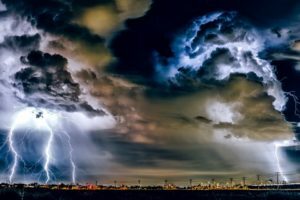 Public roads, sidewalks, and driveways are used by countless citizens and vehicles every day, and it is not uncommon for concrete damage to occur. 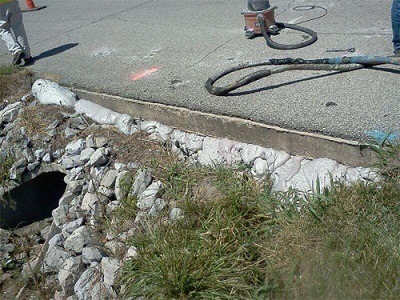 We can operate on any cracked, sloping, or raised concrete in public areas, quickly and efficiently. Users of the concrete will not be inconvenienced for very long during the repair procedure. Our methods are fast and efficient, taking little construction time and causing minimal disturbance. The best method that can be used to repair concrete is polyjacking. Polyjacking is used in applications that have voids needing to be filled. We use a high-density polyurethane foam that expands when injected to fill every crevice of the concrete and completely stabilize it. To see some of the work we have done, visit our photo gallery. 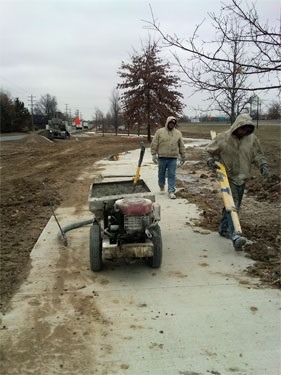 Contact us today if you have any further questions about concrete leveling in Kansas City, MO and surrounding areas.